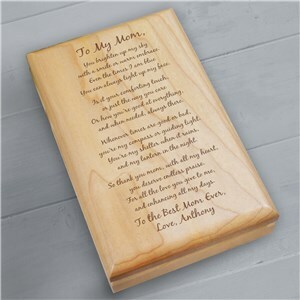 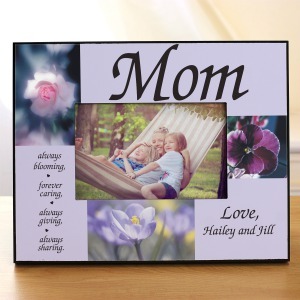 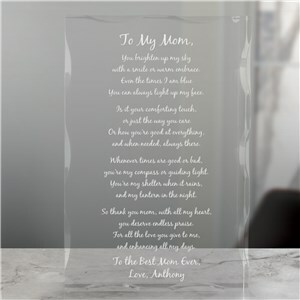 Here at GiftsForYouNow.com, Mother’s Day means finding the perfect poems and then creating a Mother’s Day poetry gift that will send just the right message. 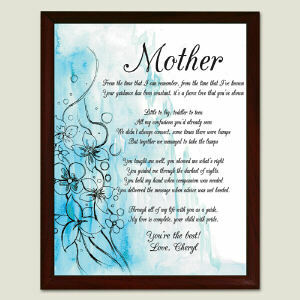 GiftsForYouNow.com helps make it easy for you to find Mother’s Day poems and poetry gifts to tell Mom and Grandma just how special she is. 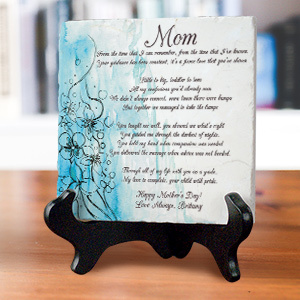 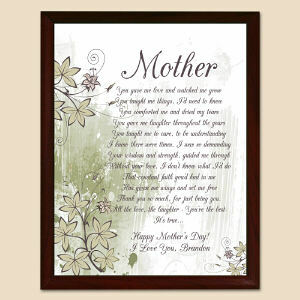 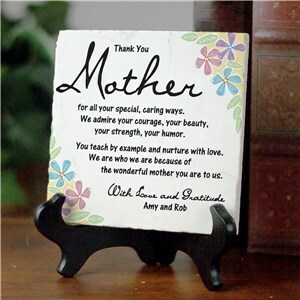 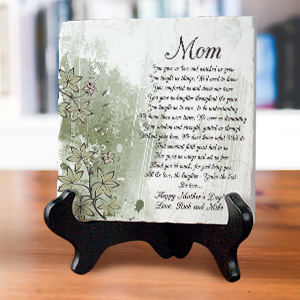 Choose from our sentimental and inspirational poetry gifts to pay the perfect tribute to your Mother, Mom, Grandmother, Grandma or Aunt. 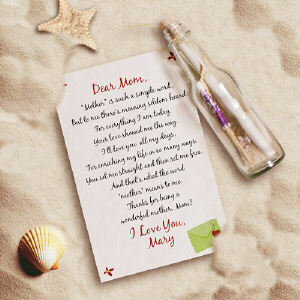 Some gifts will allow you to show off your creativity by presenting your own poem. 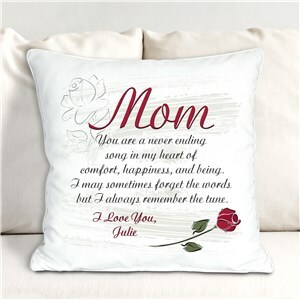 Mother’s Day 2011 is May 8, 2011. Choose from any of our perfect Mother's Day Poems, Mother's Day Poetry, Mother's Day Quotes, Mother's Day Sayings, Mother's Day Tributes, Mother's Day Messages, Mother's Day Verses, Mother's Day Sentiments, Mother's Day Reflections, Mother's Day Greetings, and Mother's Day Devotions. 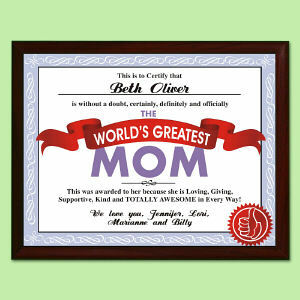 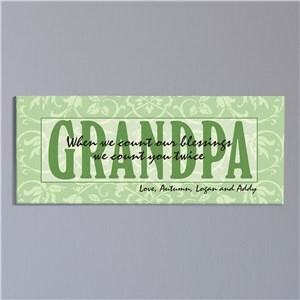 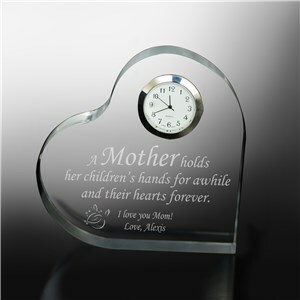 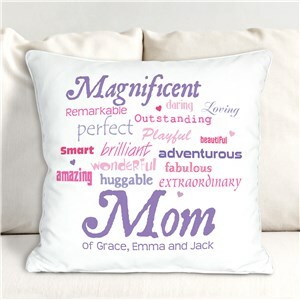 GiftsForYouNow.com has a wide assortment of Mothers Day Gifts.